Trust our skilled crews to restore your home or property back to ideal condition after the unexpected. Whether you are dealing with the aftermath of a tropical storm, fire, or flood, damage to your home or business can be devastating. 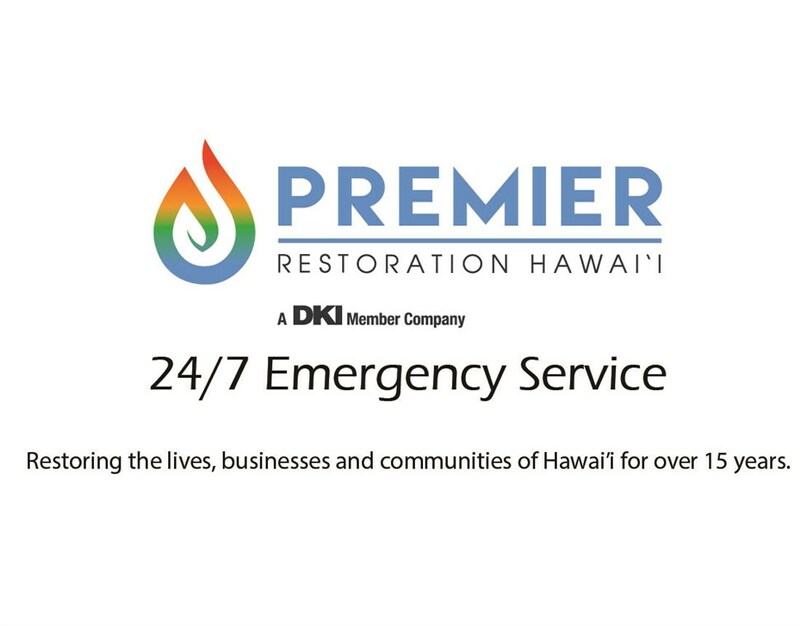 At Premier Restoration Hawaii, our team is available 24/7 to arrange emergency services, and will be there within 24 hours or less of receiving your call to help you minimize the stress and expense caused by the unexpected event. With the ability to handle all aspects of restoration, from asbestos abatement to emergency water removal, we’re the trusted choice for getting your Wailuku property back into a safe, functional, and livable state. Property damage caused by water needs to be handled quickly and professionally to prevent more extensive damage to your home or building from issues occurring down the road. When it comes to immediate emergency water loss response, you can count on our local water removal company in Wailuku, and we’ll have a crew out to your building within two hours to assess the situation and to provide a free, accurate estimate of the services that you need for restoration. Water Damage Removal: Rid your building of standing water fast with our affordable emergency water removal and drying services. Mold Removal: Mold growth can lead to odor, health concerns, and structural damage, and we offer the mold removal solutions you need at a price that you can afford. Personal Property & Document Restoration: Restore your valuable personal belongings and essential documentation after fire, smoke damage, flooding, or sewage leaks with help from our highly-trained crew. Wind & Storm Damage: Strong storms are a reality in the Hawaiian paradise, and we can help you get your property back into shape after wind and water damage occurs. Fire & Smoke Damage: Whether you need full-service removal of damaged areas or want assistance with smoke odor elimination and reconstruction, our restoration company has got you covered. Commercial Services: Premier Restoration Hawaii will work quickly to coordinate the services needed to get your office or store front back to full operation after unexpected property damage. Regardless of the extent of your property damage in Wailuku, you can rely on Premier Restoration Hawaii to provide the fast and affordable service you need in the most stressful times of your life. Give our restoration company a call today or fill out our online form, and one of our expert staff members will be in touch quickly to get you started with a free, no-obligation estimate.